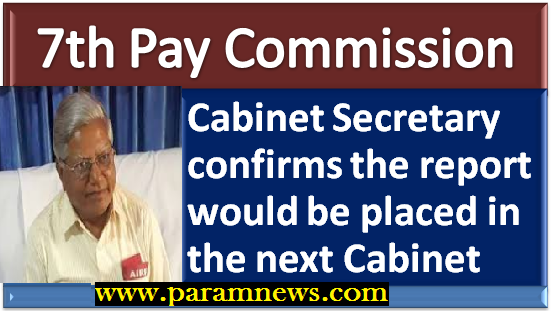 General Secretary, All India Railwaymen's Federation (AIRF) Shiva Gopal Mishra has informed through his official website that the Cabinet Secretary has assured the all things related to Allowances of 7th CPC are in the process and most probably would be placed in the next Cabinet meeting. General Secretary, All India Railwaymen's Federation (AIRF) Shiva Gopal Mishra brief of the meeting held on June 15, 2017 with the Cabinet Secretary "Today I met the Cabinet Secretary, Government of India, and shown our anguish regarding non-settlement of demands of the Central Government Employees, particularly non-approval of the allowances by the Cabinet." "The Cabinet Secretary assured that, all the things are in the process and most probably would be placed in the next Cabinet meeting." said Shiva Gopal Mishra. 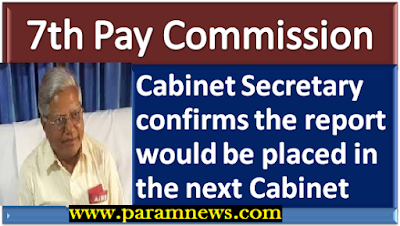 "We have also come to know from the reliable sources that the Committee on National Pension System(NPS) has also submitted its report and some serious discussion is on for its implementation," added Shiva Gopal Mishra. 7th CPC Allowances: Cabinet Secretary confirms the report would be placed in the next Cabinet Meeting General Secretary, All India Railwaymen's Federation (AIRF) Shiva Gopal Mishra has informed through his official website that the Cabinet Secretary has assured the all things related to Allowances of 7th CPC are in the process and most probably would be placed in the next Cabinet meeting.